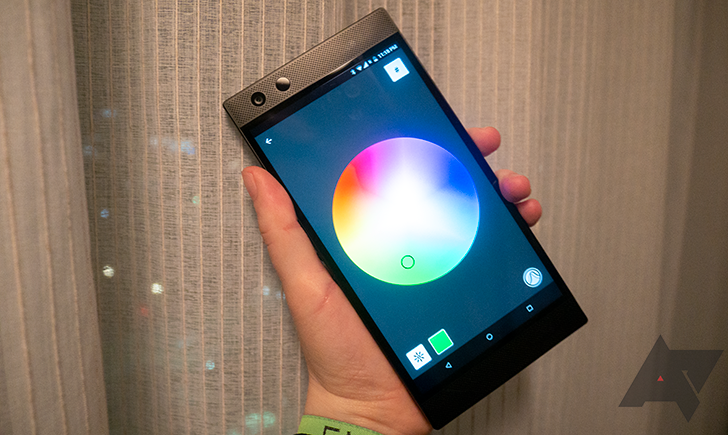 Razer sees itself as a gaming phone pioneer. During today's launch of the Razer Phone 2, the company stressed that while other companies may be following suit, it kicked off this new mobile category. But is it really a new, under-served segment of smartphone buyers? And is there enough of a market to support mobile hardware purposefully targeting a specific slice of the overall demographic? Razer clearly thinks so. Every aspect of its second-generation device is aimed at enticing the gaming enthusiast, from a 120Hz display refresh rate to an RGB light-up logo on the rear. But in setting such a clear direction and introducing unique features for the gaming set, it's also done something more. Razer made a device that's enticing to any smartphone enthusiast who is tired of the same old thing. 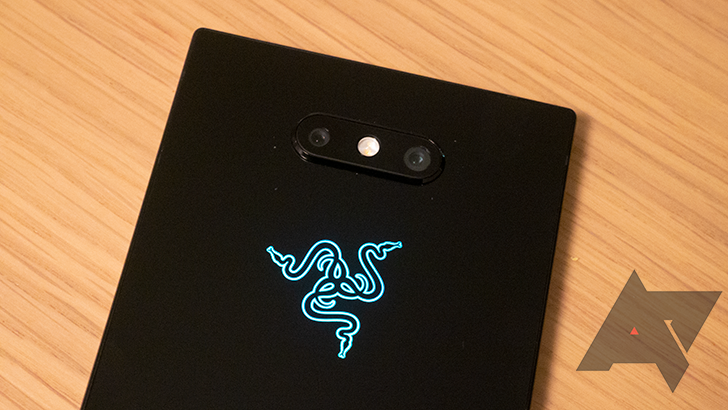 When the first Razer Phone hit the market in 2017, it was well received in a number of ways, with highlights including the super smooth display, loud dual front speakers, and a strong 4,000mAh battery. One of the common complaints from reviewers, however, was that it failed at some of the key functions they'd come to expect from a high-end phone, like a decent camera. This was reasonable enough. The company had built the Razer Phone to cash in on the growing mobile gaming and esports market, not to toss another general interest device in the ring. Why gamers? Mike Chan, vice-president of mobile software told Android Police: "We believe mobile is the next frontier for esports. Look at Fortnite and PUBG. [Both] made their way to mobile, and these are the two hottest games on the planet right now." But Chan also noted that mobile gamers aren't just people who play shooters or the "hottest games" — it's just about everyone, even those who play games that are often dismissed as being silly or non-competitive, like Candy Crush. The net the company is casting, then, is actually quite wide, making it imperative that the Razer Phone 2 be not only a good gaming phone, but a good flagship smartphone. Thus, with the second-generation device, Razer upgraded its camera — one of the biggest sore spots — by changing from Samsung to Sony IMX sensors and working on improving the camera software. "We got feedback that the camera hardware was a bit lacking, that the features were lacking," said Chan. "You'll see substantial improvements on image quality and launch time with the Razer Phone 2." 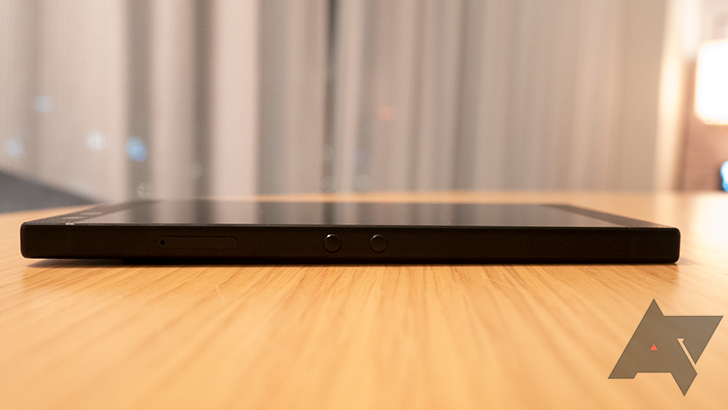 Razer also added IP67 water resistance and wireless charging, thanks to a glass panel on the rear. Plus, the IGZO LCD display jumped from 380 nits to 580 nits. The device gained some improvements on the gaming side, as well. There are the RGB lights, which can be set to change color for particular notifications (for instance, blue for Facebook, yellow for Snapchat), and there's a new vapor chamber for thermal cooling running through the device to help keep the Snapdragon 845 chipset at top performance. Ultimately, it's necessary for Razer to provide not just a solid gaming experience, but rise to a level of overall quality it wasn't able to with its first-generation device. This is a different market than gaming PCs, which often sit at home as dedicated gaming areas. Most users don't carry around two smartphones. The Razer Phone 2 needs to be a good enough daily driver to get people to bite. We now arrive at the key question: is it good enough as an all-around flagship? It's hard to tell in the span of an evening, but here are a few insights, both good and bad. In the negatives column, it's still bulky, square, and uncomfortable to hold (though not that much more than your standard Sony flagship). Also, though the display is brighter now, it's still not that impressive — whites are much less dazzling than on a Pixel 2 in side-by-side comparison. As for the positives, the sheer smoothness and responsiveness provided by the 120Hz refresh rate is indeed game-changing, and the ~103 decibel front-facing speakers are incredibly loud without becoming too tinny or distorted. Plus, it's impossible not to enjoy the RGB lights, both from an aesthetic and functional standpoint. It wouldn't be fair to comment on camera and other software experiences, as Razer has cautioned that the device is not yet on its final, public-ready build. Still, I can say that the company has stuck with a near-stock Android experience and the Nova Launcher Prime, both great choices in my book. Price-wise, the handset comes in at $799, which is reasonable for an Android flagship (like the Pixel 3 or Samsung Galaxy S9+), but perhaps a little high considering its current lack of brand recognition in the mobile market. There's no official word yet on whether it will pop up at any carrier stores, but that would certainly be a major boon to its profile, and add purchasing incentive for consumers who desire two-year payment plans. So far, it's just available to pre-order online with shipping dates to be announced. My overall evaluation so far doesn't stray from what Android Police managing editor David Ruddock said last year — it's a promising device, and my sentiments are generally positive. 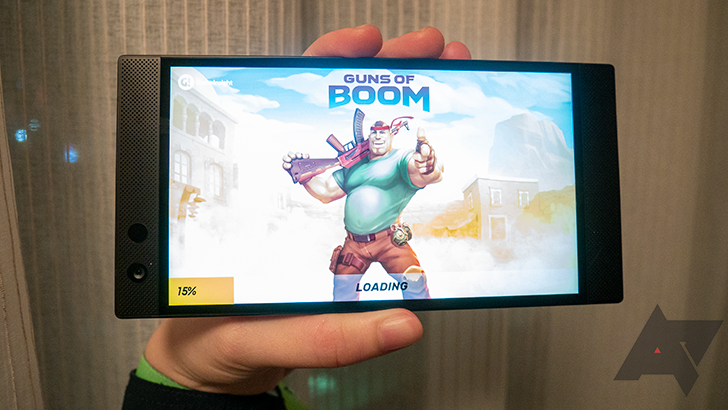 Will it take mobile gamers — and possibly a much larger chunk of the market — by storm? Probably not. These things take time. But I really appreciate the fact that Razer is injecting some new ideas into the world of smartphones, and I hope it keeps on doing so in the future.